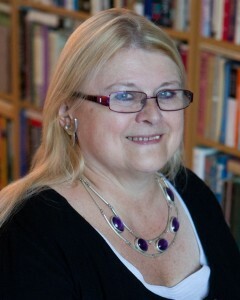 I’m delighted to welcome my friend Carole Blake to my blog today to give an insight into one of the hottest questions in the publishing today. Carole has just celebrated 50 years in the publishing business, so she probably knows a thing or two. In 1977, after 14 years in publishing, Carole started her own literary agency which merged with Julian Friedmann’s agency to become Blake Friedmann in 1982. She is a past President of the Association of Authors’ Agents and author of From Pitch to Publication, a must-read for any writer wishing to understand the publishing industry. An updated version is due out in 2015. Welcome, Carole. In the changing publishing world, one question I see debated everywhere, and with enthusiasm, is whether a writer needs an agent in today’s publishing environment. Yes. And no. Many authors, especially self-published ones, manage everything for themselves now and many do it really well. Many authors are writing in areas that will not attract agents, so they have no choice. But, of course, I think an agent is only a good thing for a writer: I’ve been an agent for 37 years and I know there are many things we do for our clients that would be difficult for them to accomplish alone. Handling your own marketing, selling yourself, takes time and a certain kind of personality too. Having an agent represent you gives you a broader spread of influence, a bigger reach, access to many more contacts A good agent fights for you on many fronts and brings their experience to your career. I can’t imagine an author alone, negotiating their contract with a gigantic multi-national conglomerate publisher and getting the concessions that agencies do. An author without an agent simply wouldn’t have experience of enough contracts to know what was achievable. Even Amazon, with their ‘White Glove’ programme, offer agented authors who epublish via them, much higher royalty packages than unagented authors, and access to more promotions. As publishers are sold, merge, go under, an agent represents stability in an unstable industry; continuity as publishing staff come and go. Agency staff change too, of course, but much less frequently than at publishing houses. Some of my clients have been with me for more than 30 years, yet they all find their editor, publicist or publisher (sometimes all three!) has changed. The market is a jungle. An author alone can’t expect to stay abreast of everything, especially if they are having to devote time to their marketing and are having to sell their own books. In addition to wide negotiating experience, agencies have staff to sell the rights they withhold from UK publishers: US, translation, film, television, stage, audio being the most common. Every extra strand of income we negotiate for our clients, every new language, every new right, brings more income and a greater visibility for the author. Agents only get paid when they pay their clients (by law we must have separate client accounts, like lawyers). That certainly focuses the mind! We have a common purpose, and we share together in the successes. And we are there to encourage if things go wrong. 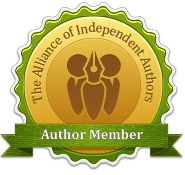 Many of my authors are published in more than 30 languages. That means that every time they deliver a manuscript I can anticipate selling it over and over again, without the writer having to do any more work. My agency has a network of overseas agencies that sell our list, and we have staff who deal with publishers around the world. Our preparation for international book fairs is military-like in its precision. 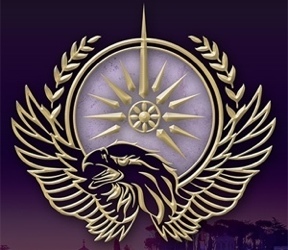 My staff and I bring our decades of experience to bear on the work of the authors we represent, and take a huge satisfaction in presenting them with multiple deals over a range of formats and languages. Thank you, Carole, for such a clear explanation for the readers. 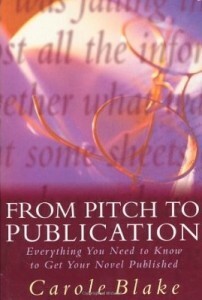 I’m looking forward to your update of From Pitch to Publication next year. Carole’s reply was thorough and persuasive. The trouble is, most writers don’t have the choice of having an agent or going the self-publishing route. They’ve often written a book worthy of an agent and traditional publisher but haven’t had that elusive stroke of luck. I, too, am looking forward to Carole’s updated From Pitch To Publication to replace the elderly edition which languishes on my writer’s shelf. Writers these days can at least get their work to market and in the end it’s the readers who decide, which is as it should be. Nice article. I am a self-published author with a pretty successful career myself, and yet I leapt at the chance when an agent approached me. I agree an agent can only be a good thing. Good comment, Simon. I very much enjoy the control and involvement with independent publishing – I admit to being a bit of a perfectionist – but I’d love an agent to help sell subsidiary rights including foreign rights. Maybe hybrid authors have a good balance. Interesting post, thanks for sharing with us. While I dream of an agent I self-publish. My readers are growing daily, and my other dream, to be a writer of novels, is full-filled. People will look back in fifty years and be fascinated at what a complex issue it is, Glynis. An interesting post, and the obverse of one I posted a couple of weeks ago. Sorry to politely disagree, but I’d say, no. You, Carole are clearly a very committed and caring agent. I was with a BIG and well known London agent who messed up my American rights, didn’t pile in when I encountered problems with a mainstream publ. and as the final insult,told me my current novel, Diamonds 7 Dust, was such rubbish that they weren’t even going to send it out..From the comments to my post, I’d say it’s a 60:40 split in favour of going it alone. I am just glad that riters like me, and the ‘mid-listers’ CAN get published,either by themselves, or with small Independents. If only all agents were as good as you Carole! I’m a hybrid author (Indie & Mainstream) I manage without an agent & probably don’t need one – BUT I do miss having someone reliable to advise and to just BE there when I need someone to be there! Interesting to read these comments, thank you. There are so many more routes to market now than there used to be. And unfortunately, as with every area in life, there are good and bad agents. I’m sorry that you had such a bad experience Carol, but a few bad apples don’t mean the entire crop should be destroyed. 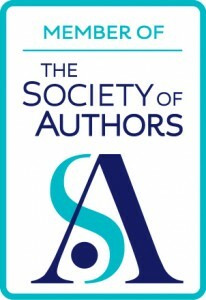 When I was President of the Association of Authors’ Agents many years ago I suggested that there should be an exam that agents should have to pass before being allowed to join the AAA. It was never acted upon, although I still believe it should be. I believe in the agent’s role. That old saying “Two heads are better than one,” comes to mind. I am a writer, not a salesman; an agent represents my work and the one can’t exist without the other. It’s the tried and tested route for me and if it doesn’t work then I leave my manuscript to be published by my children (let them pay the fees!). Meanwhile I continue to hone my craft. An interesting discussion, Carole and Alison, with interesting contributions to the debate from Carol and others. Thank you for it.